Dental technology has changed tremendously since we first opened our dental office over 40 years ago, and thankfully, our team has worked diligently to keep up with all the latest advancements as soon as they develop. 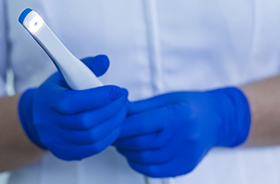 Because of this, whenever you come to see us, you’ll enjoy a state-of-the-art approach where your care will be as quick, comfortable, and precise as it can possibly be. To come experience the best of new school technology alongside old school customer service, contact us today. Thanks to our intraoral camera, you and your dentist will now be on the same page at every appointment. This pen-sized instrument enables our team to capture highly-detailed images of your teeth and gums we can instantly show you on a monitor right in the treatment room. Now, you’ll be able to see exactly what your dentist is talking about, as they’ll easily be able to point out problem areas and discuss the possible benefits of treatment. 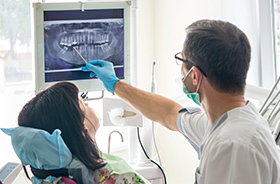 X-rays are an essential tool in our dental office because they enable us to catch dental problems even before they are visible to the naked eye. To make sure we don’t miss a single detail, we’ve upgraded to fully digital X-rays. Compared to traditional film, they’re able to capture images much faster, display more detail, and they even emit up to 90% less radiation as well. Plus, we can easily edit the images to make them easier to understand, meaning you can go over them with your dentist. Thankfully, the lasers we use are much smaller and gentler than the ones you’ve likely seen in science fiction! 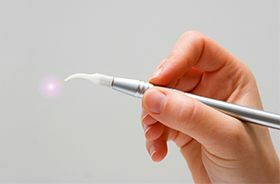 With them, we’re able to quickly and painlessly remove gum disease bacteria and even infected tissue while causing little to no bleeding, swelling, or pain. That’s because the beam of light is able to sanitize and cauterize an area as it goes. Plus, the laser creates practically no heat, sound, or vibration, so patients find it easy to remain completely comfortable no matter the procedure.